The healthcare system in the Basque Country is a Beveridge system working to improve the health status of the population. It is funded by taxes. The Basque Ministry for Health oversees policy-planning, financing and contracting of healthcare services; the Ministry for Employment and Social Affairs defines the social policies, whilst the contracting of social services is done by the Provincial Councils and municipalities. The healthcare system governs and provides funding for the public healthcare provider, “Osakidetza – Servicio Vasco de Salud”, organisations in charge of biomedical research and innovation (BIOEF) and organisation in charge of research in chronicity (KRONIKGUNE). Healthcare professionals are public employees. 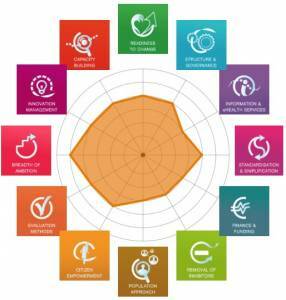 The Basque healthcare system is composed of 13 Integrated Care Organisations (ICOs). The ICOs have been established to integrate primary and specialised care into one single organization with the aim to create synergies between the different levels of care. There is a clear strategic vision of the Basque Government towards the challenge of ageing, chronicity and dependency which has provided explicit support, leadership and capacities to transform the health and social care system towards integrated care in the Basque Country. Osakidetza has reinforced and extended this integrated approach. As a result, a number of processes and tools have been developed and implemented to support the integration of health and social care system. A plan to achieve an integrated care has been launched and the concept of ICOs has been introduced to address the consequences of fragmentation and lack of coordination between different levels of care. 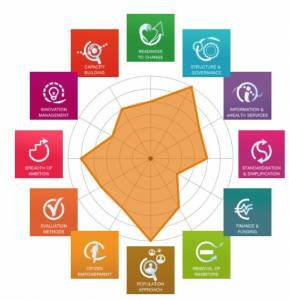 The objective is to achieve less fragmented, more coordinated, efficient and higher quality of care. 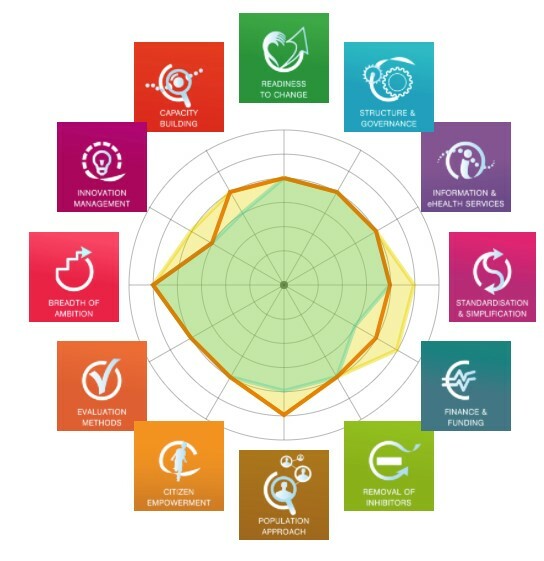 The outcomes of the self-assessment survey provided the basis for the discussion of stakeholders with an objective to reach the consensus on the current state of art in integrated care across all 12 dimensions of SCIROCCO Tool. The spider diagrams reflect the diversity of perceptions of local stakeholder and the consensus that was reached at the workshop. During the negotiations and consensus building, each stakeholder presented its spider diagram to their peers and shared the scores and justifications of each dimension. Negotiation process was straightforward, amiable and fast. The dimensions of “Structure and Governance”, “Funding”, “Breadth of Ambition” and “Population Approach” were mostly discussed. The final spider diagram shows the maturity of the Basque healthcare system for integrated care, including the areas for improvement. 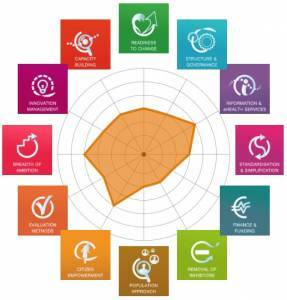 The local stakeholders scored quite high across a number of dimensions such as Readiness to Change, Structure and Governance, eServices, Population Approach or Breadth of Ambition. In contrast, the domains of Innovation Management, Funding, Capacity Building and Standardisations proved to be more challenging for the local healthcare system. 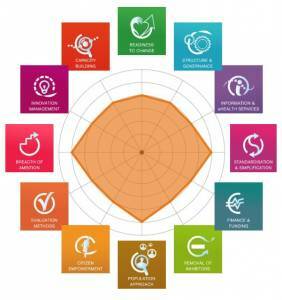 To read more about the self-assessment process and outcomes in the Basque Country assess here the full self assessment report for Basque Country. “When consensus is reached, extreme scores disappear and a more balance score is reached”.